ps4 player here..if the 31 other droolers cannot capture or hold more than 3 flags by the 5 minute marker..i simply find another server.win/loss stat is something i don’t really care about..i feel your pain thou. I don't know why everyone now is complaining about teamswitcher. Because it makes it unfair and the teams uneven. It's kind of hard to have a fun game when the other team are all 130s with 5000 kills on their weapon. When you get put on the losing team no matter what server you join, no matter how long you wait for the balancer to work, it's necessary for some people to switch in order to have a good time with the game. I can't tell you how many times I get frustrated because my team wants to act like idiots. Before removing the team switch feature, they should fix the balance. And lose the ability to get revenge on terrible players who have no regard for the purpose of the battle? Don't know about pc or ps4 but on xbox in cq, it won't let you switch teams if your within 1 player of each other. Like me, lots of people just quit and find a better game. But if there’s no switch option how will I ever have a fun game!! I’m hexed which means I only join or are put on the team that doesn’t do well. At least 4/5, that 1 time is fun! Removing the switch team function won't help. And I can't ever understand why people never realize that. You see if I get into a server with a team that can't do sh-, and play like sh-. Well then I'm not going to have fun playing, which means I'm either going to switch teams or leave the server. So really removing the swtich team function won't do anything because players will just leave the server making that sh- team worse by having them outnumbered. Switching changes the balance by 2 players. Leaving by 1. Switching has twice the effect and also ruins skill balancing. It should go. Not if it is a really bad match and players leave in droves. I've seen matches where one team will have 26 players, and the other team will have a full 32. These are also the matches were you see the top 10 players have some sort of kill, death, or score. While the remaining have absoulty nothing because they are all new players who had replaced players who left. Meanwhile the other team has players who all have kills, deaths, and scores. No. Players leaving the matches have more of an effect then team switching. Because you can only switch teams in a +/-1 player balance. Anything greater then that then you can't swtich teams. You can brake whats already broken. I find it utterly frustrating to be on that worthless team but I never change sides due to it. I might do it to blow them camping tanks up and/or kill that drove of snipers. Instead I try my best in hope of some Rocky Balboa turn around. It’s way more rewarding to be the one who flanks and cap the first flag way behind enemy lines than it is to baserape the enemy. Man, I have been saying this over and over again every time a cry thread comes up. A cr*p team is a cr*p team if I'm on that team or not, they are still going to lose. Well you're right about the bold part. But teambalance is an issue that has always been there and I really doubt the developers want that issue to stay around. However it's not as easy to fix as just turning off the teamswitch button, that will have all sorts of other negative effects on pub servers. If you want the developers to focus more on it then go submit your feedback, if enough players do that it'll have an impact but I strongly doubt there are any win-win solutions to this problem. It's hard enough to determine how "good" any given player is and it's near impossible to determine how well a whole team will do, you'd have to be able to predict how they will play on any given match. Sometimes you have a bad match, sometimes someone who barely every drives tanks will dominate in a tank, sometimes the whole team just functions really well together without communication and without any given players intentions. 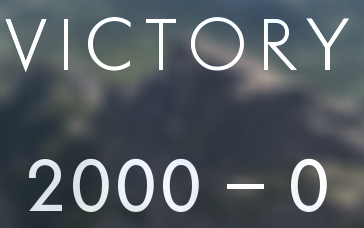 Considering conquest and operations have 64 player matches it's even harder to predict the outcome of a match in order to balance it. Yeah thats what makes me more inclined to stay and switch, or simply just snipe from spawn because as attackers on operations you literally can't move because the defenders push up big time. Staying in the server especially on operations is preferable then leaving and it taking 5 minutes to load another one!!!! 1. The winning team always has more players, team switching is difficult. 2. If people don't like getting stomped, and they can't switch teams, they will just leave the game. Do you think someone will stay if they're not having fun? Lol. So a very hard NOPE for me, sorry. Not if you use an SSD. They're quite cheap too now as well.